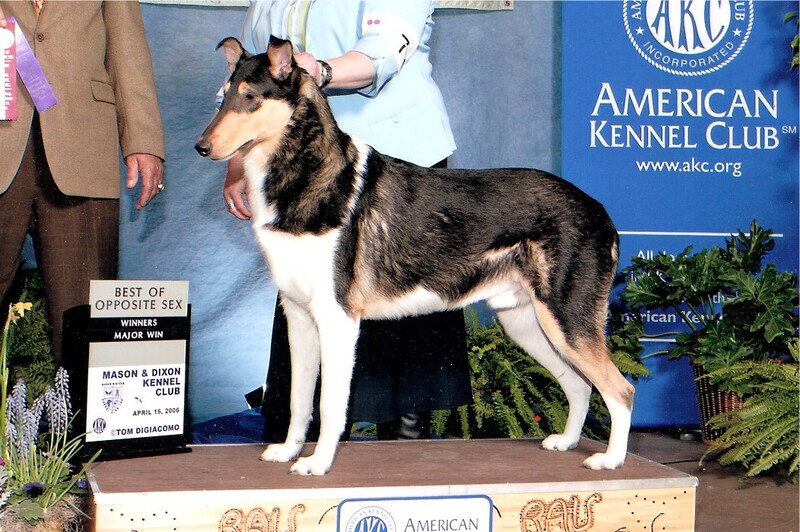 were only 8 months old. 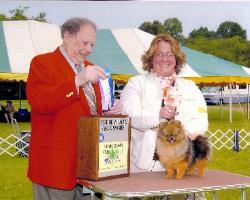 head, outline, structure and a great mover! 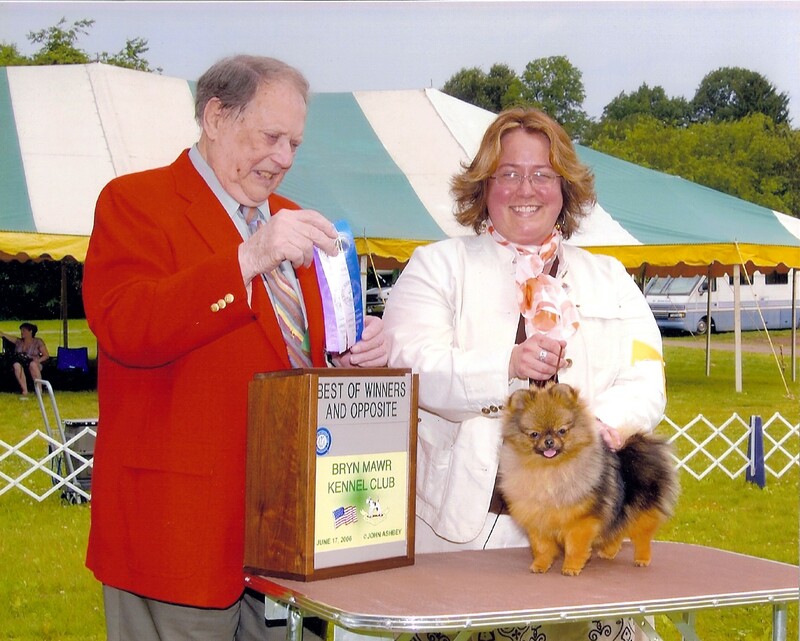 "Maze" is owned by William and Kathryn Nelson of East Berlin, PA.
show and smiling down from above, because, she knew that he would win. 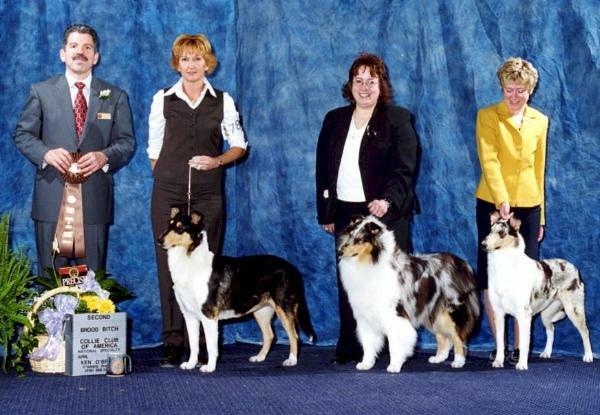 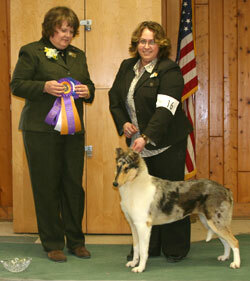 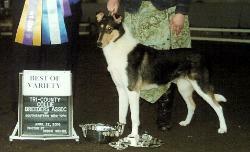 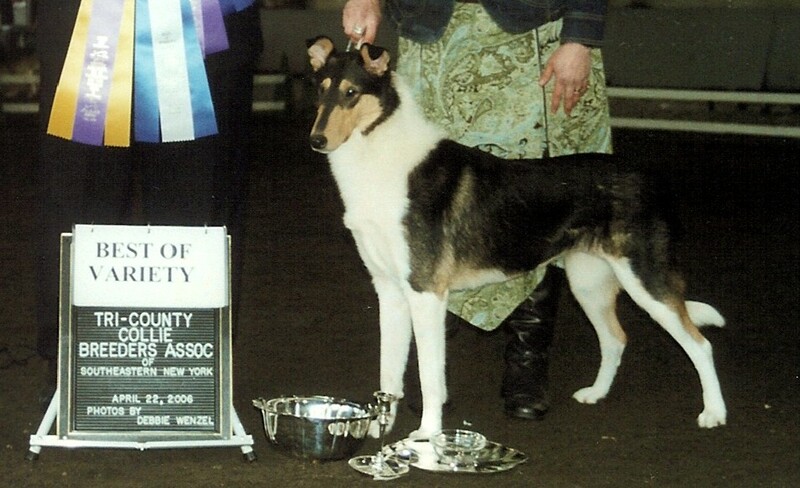 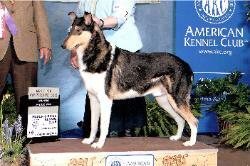 "Breeze" is owned by Nickie Schmidt, of Lar Lill Collies, and Paula Butts of Moscow, PA.